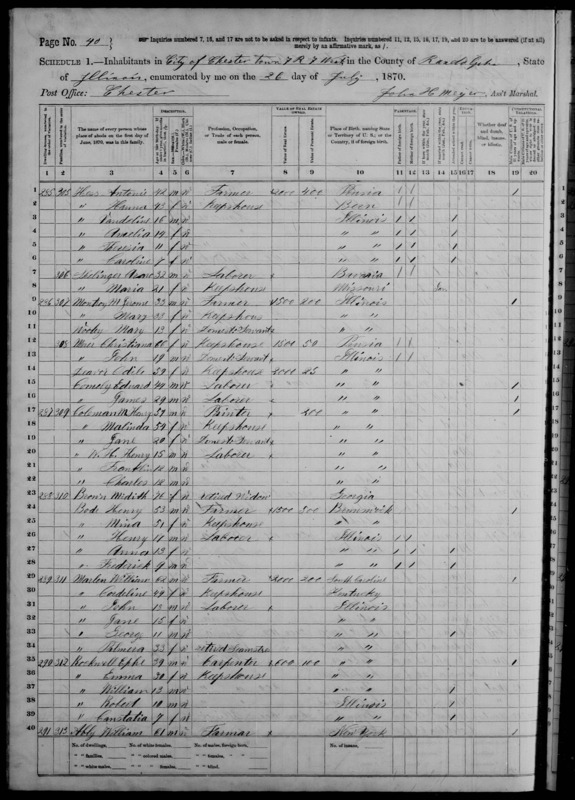 Illinois, County Marriages, 1810-1940, database, FamilySearch (https://familysearch.org/pal:/MM9.1.1/QK92-LPN8 : 18 October 2017), William R Marlin and Cordelia Gant, 14 Nov 1853; citing Randolph, Illinois, United States, county offices, Illinois; FHL microfilm 975,008. 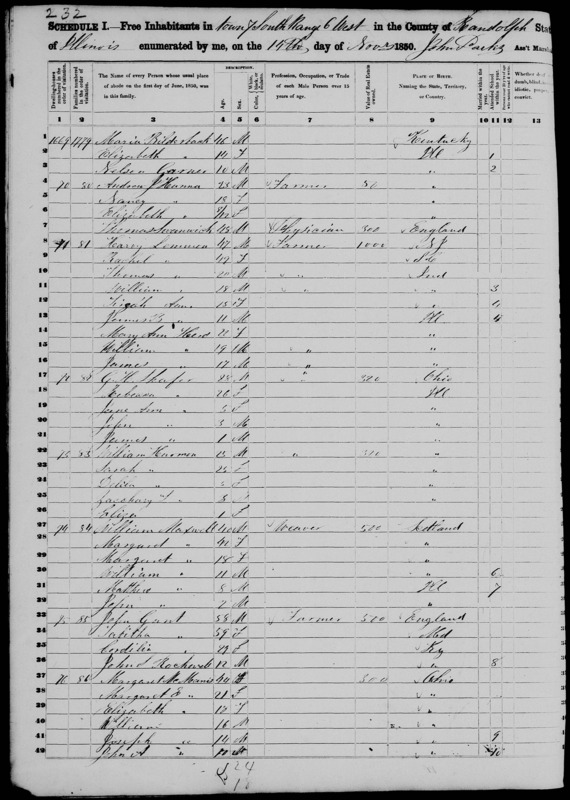 Illinois, County Marriages, 1810-1940, database, FamilySearch (https://familysearch.org/pal:/MM9.1.1/KF2K-8BM : 3 November 2017), William R. Marlin and Cordelia Gant, 15 Nov 1853; citing Randolph, Illinois, United States, county offices, Illinois; FHL microfilm 975,009. It has been determined through genetic testing of Anomymous Creamer & Anonymous Moulton by 23andMe that this person's maternal haplogroup is: H5a. 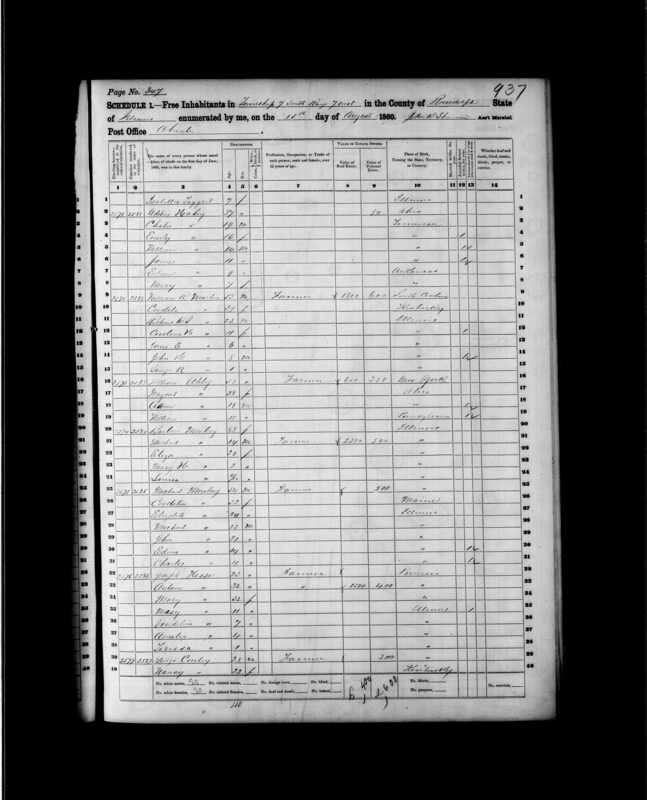 Cordelia is 43 degrees from Graham Chapman, 25 degrees from Janet Wild and 19 degrees from Henry VIII of England on our single family tree. Login to find your connection.